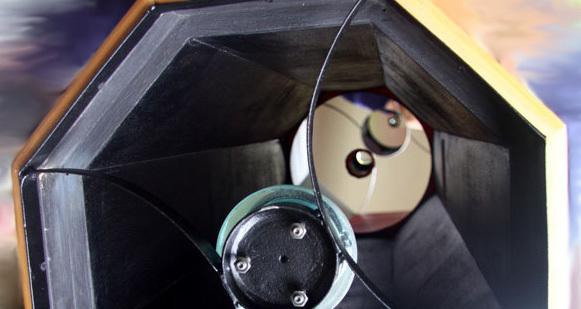 July 2016 marks the 25th anniversary of the inception of the ASSA Amateur Telescope Making (ATM) class, which has been operating continuously ever since. The first session was held in the historic Library building at the Johannesburg Observatory, designed by Sir Herbert Baker. Since this room was used for general meetings and had a wooden floor, it was not ideal, albeit conveniently at the ASSA Johannesburg Centre’s home. We were fortunate to obtain the use of the old CSIR weather station north of Randburg (now Kya Sands), which was informally dubbed SPARC (for Space and Atmospheric Research Centre). When that site was sold, we moved back to the observatory for a while, until Parktown Boy’s High School kindly offered their Design Technology centre as a venue. We are grateful for the use of this conveniently-located facility, which has served us well. Out of this telescope making class arose ScopeX, the annual astronomy and telescope exhibition which in 2016 will be held for the 15th consecutive year. Hundreds of people have flowed through the ATM class to gain the skills and esoteric knowledge required to build their own instruments, many of which have been showcased at ScopeX to audiences numbering in the thousands. We call upon all in the astronomical community to support ScopeX well this year, to help celebrate the dual milestone anniversaries. Telescope makers in particular are urged to participate, as we hope to have international visitors from the ATM fraternity.